Black - Basic black with a black cording handle, perfect for mens hats.  Red - Deep, rich red with a black cording handle. See the Red Hatters page for red with purple. Pink - A feminine and fun pink hatbox with a cream cording handle. Dark Brown - The new classic color - deep chocolate brown with a cream cording handle. Dark Purple - Deep dark purple with a black cording handle. See the Red Hatters page for purple and red. Navy Blue - Classic navy blue fabric with a cream cording handle. Black and white houndstooth check hatbox with a black lid and black cording handle. Laguna - A pretty Robins Egg blue with a hint of green with a cream cording handle. Bright royal blue hatbox with a black lid and black cording handle. Oriental blue hatbox with ecru cording handle. 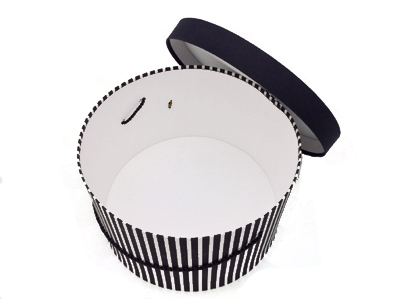 A traditional black and white stripe fabric hat box with a solid black lid and black cording handle. Black and white houndstooth check hatbox with a red lid and red cording handle. Steel gray fabric hatbox with a black cording handle. Positively Paris! The Eifel tower and french travel theme in black on white background with a black cording handle. Bright aqua and white stripe linen hatbox with a white cord. Black and white stripe hatbox with a solid red lid and red cording handle. A deep rich gold bengaline fabric hatbox with a gold cording handle. Wine colored fabric hatbox with a cream cording handle. Royal blue hatbox with a matching royal blue cording handle. Amethyst Hat Box - a deep rich dark purple with a cream cord. Ivory bengaline hatbox with a cream cording handle. French themed hatbox white background with a black print. A light pink lid and pink cording handle. Celery green hatbox with a navy blue lid and navy cording handle. Gold base hatbox with a black lid and black cording handle. The Eiffel tower and other Paris designs in light gray with a light pink background. A solid gray lid band and a gray cording handle. A classic combination of a red base with a black lid with black cording. The fabric has a nice linen look and feel. Celery green fabric hatbox with a white cording handle. Alice Blue. A pretty light baby blue fabric box with a white cording handle. Williamsburg blue hatbox with a cream cording handle. Classic white fabric hatbox with a white cord. Celery green base with a dark brown lid. This hatbox has a dark brown cording handle. A bright and cheerful pink background with white polka dots. This hatbox has a white cording handle. Black base with a gold lid and gold cording handle. A bright and cheerful pink and white stripe base with white polka dots on a pink background for the lid. This hatbox has a white cording handle. Shells and starfish in blue tones on a cream background with a cream cording handle. A unique travel design with antique airplanes circling the world. Cream background with black print, a black lid band and a black cording handle. Laguna base hatbox with a black lid and black cording handle. A wide black and white stripe fabric base with a black fabric lid. Black cording completes the traditional hatbox. Cerise fabric hatbox with a black cording handle. A pretty deep carnation pink bengaline fabric. White fabric hatbox with a black lid and black cording handle. Black fabric hatbox with a silver gray lid band and silver cording handle. Black and white houndstooth check hatbox with a light pink lid and pink cording handle. Pecan Shell - a light brown color fabric with a dark brown cording handle. Black base hatbox with a laguna lid and laguna cording handle. Laguna blue hatbox with a dark brown lid and dark brown cording handle. Deep forest green hatbox with an ecru colored cord. A beautiful antique coral hatbox with a cream cording handle. A pastel pink hatbox with a solid black lid and black cording handle. A dark brown hatbox with a pastel pink lid band and pink cording handle. Flamingo pink chevron stripe with coral, dark gray and light gray hatbox with a brigh pink cord. Cream background has a unique travel design with antique airplanes circling a map of the world. This hatbox has a red lid band and red cording handle. Navy blue and white stripe linen fabric hatbox with a navy blue cord. Red and gray script design on a white background. With a red lid band and red cording handle. Cream background has a unique travel design with antique airplanes circling a map of the world. This hatbox has a dark gray lid band and gray cording handle. white chipboard giving them a completely finished interior.